The U.S. Food and Drug Administration (FDA) has a ban on the transportation of raw dairy products, including our favorite toast accompaniment: raw butter. We believe the ban should be lifted because 1) there is no evidence raw butter is dangerous. The Foodborne Outbreak Online Database, established by the Centers for Disease Control (CDC) in 1998, notes that there has not been one foodborne illness outbreak attributed to the consumption of commercially produced raw butter and 2) raw butter is a nutrient dense, value added product that can be beneficial to a dairy farmer’s bottom line. The FTCLDF has filed a petition and intends to hire attorneys to fight for a repeal of the ban. We are seeking help from our food freedom community to help raise the funds ~ won’t you please join us? Give today and help us toast GOODBYE to the butter ban! Please consider making a donation to the Farm-to-Consumer Legal Defense Fund to help us continue our mission to defend the rights and broaden the freedoms of family farms and protect consumer access to raw milk and nutrient-dense food. * Alternatively, donations can be made by mailing a donation or calling 703-208-FARM (3276). Our organization counts on your support through memberships and donations. Our team is committed to keeping nutrient-dense food freely flowing in America. Your donation and support are what makes this possible. Put your money where your mouth is: protect our farmers and our food freedom. Donate $500 and receive all three of the below books and the above gifts! From its humble agrarian origins to its present-day artisanal glory, butter has a fascinating story to tell. 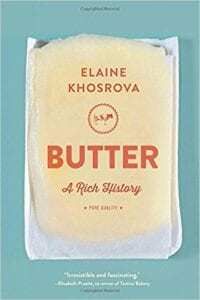 With tales about the ancient butter bogs of Ireland, the pleasure dairies of France, and the sacred butter sculptures of Tibet, Khosrova details butter’s role in history, politics, economics, nutrition, and even spirituality and art. Readers will also find the essential collection of core butter recipes, including beurre manié, croissants, pâte brisée, and the only buttercream frosting anyone will ever need, as well as practical how-tos for making various types of butter at home–or shopping for the best. Investigative journalist Nina Teicholz reveals the unthinkable: that everything we thought we knew about dietary fats is wrong. 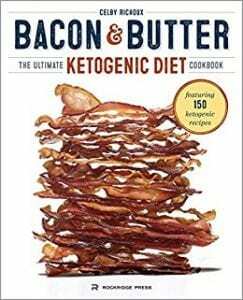 She documents how the past sixty years of low-fat nutrition advice has amounted to a vast uncontrolled experiment on the entire population, with disastrous consequences for our health. For decades, we have been told that the best possible diet involves cutting back on fat, especially saturated fat, and that if we are not getting healthier or thinner it must be because we are not trying hard enough. 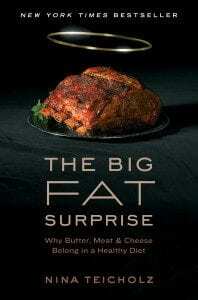 But what if the low-fat diet is itself the problem? What if those exact foods we’ve been denying ourselves—the creamy cheeses, the sizzling steaks—are themselves the key to reversing the epidemics of obesity, diabetes, and heart disease?